Few women hold executive positions in the hospitality industry. Two UNLV researchers explore the implications. UNLV researchers explore how plant genes, food rescue, and financial savvy could help feed humankind. The history of health research is one of men studying men. 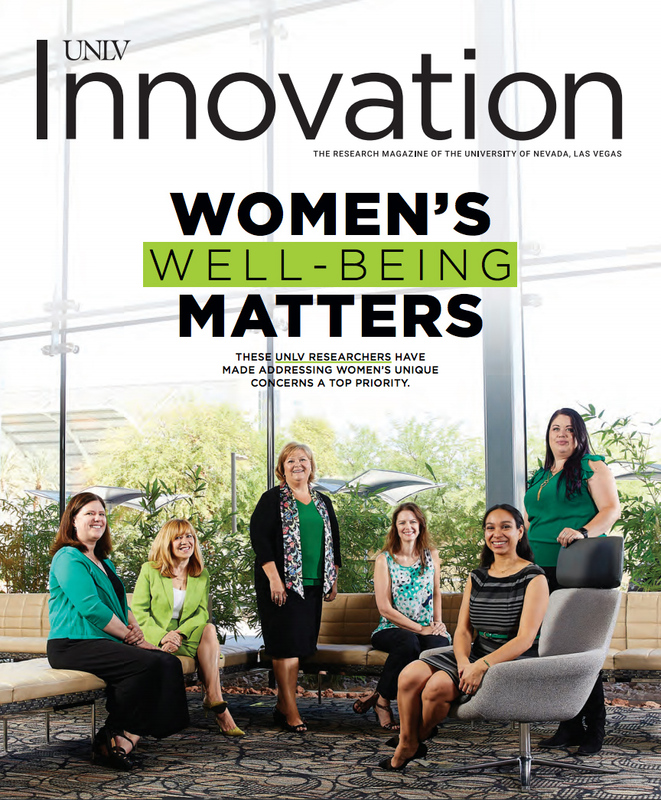 Several UNLV researchers are flipping the script, creating new possibilities for women’s health and well-being in the process. An education researcher turns to the digital realm of video games for a way to identify children’s behavioral problems in the real world. UNLV Innovation is the research magazine of the University of Nevada, Las Vegas. Designed to provide enhanced coverage of UNLV research, scholarship, and creative activity, the magazine also seeks to inform various constituencies about the nature and value of university research.